“In my music, the medieval monody of Armenia plays an important role", says the composer Tigran Mansurian. “It is my cultural memory that helps me to understand the present”. On 27 January 2014 Mansurian will celebrate his 75th birthday. 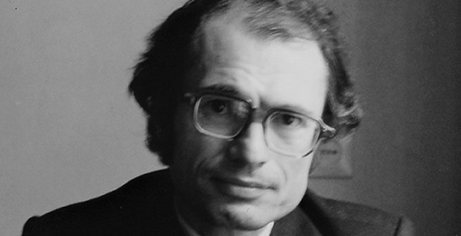 The son of Armenian parents, Tigran Mansurian was born in Beirut in 1939. After returning to Armenia, he visited the State Conservatory in Yerevan, where he studied composition from 1960 until 1965. Together with Yervand Yerkanian (*1949) and Avet Terterian (1929-1994), Mansurian belongs to the most important composers in new Armenian music. He points out the Armenian composer Vardapet Komitas and also Claude Debussy as his spiritual models. Inspired by Armenian nature poetry, he developed a way of composing that is close to sound mysticism, in which he integrated elements of the New Music. His compositional production extends from chamber works and vocal cycles to symphonic works. In his musical aesthetics, he professes allegiance to handed-down traditions but does not regard himself as a copier of old forms, but rather corresponds with old forms and emphases. He is always searching for the inner coherence of a work of art and attributes equal importance to musical rhetoric in a modern realisation. Mansurian‘s music reveals strongly gestural components, states the musicologist and writer on music Detlef Gojowy. This also applies where it is orientated on conceptions of sonoristics – the exploration and expansion of sonic possibilities through playing techniques and electronic distortion – and of minimal music.